Happy National Irish Coffee Day - Enjoy it Martini Diva Style! Aye, too true! And would ya be celebratin' National Irish Coffee Day in any other way than to have an Irish Coffee Martini?? Of course not! 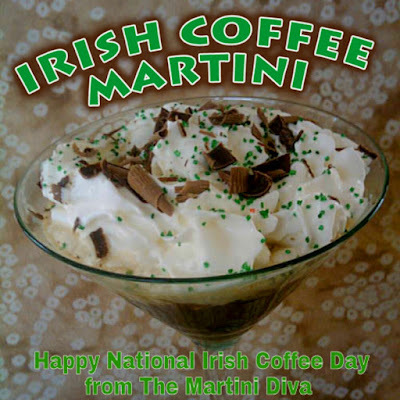 Enjoy your Caife Gaelach and have a lovely National Irish Coffee Day from The Martini Diva!